McCormick's Fish House & Bar is reminiscent of the traditional fish houses on the East Coast and in the Seattle area. Built in 1912 as Seattle’s Oakland Hotel, it is now a bastion of old-Seattle in the shadow of the towering 76 story Columbia Center – near the city’s museums, historical landmarks, theaters and shops. 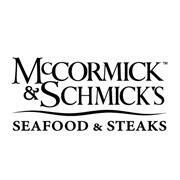 McCormick’s has been part of Seattle’s dining institution for more than 30 years, where it provides a traditional and intimate atmosphere with a vast collection of nostalgic memorabilia on the walls, multi-level dining areas, and aged dark wood and brass. Though there is no private dining space, we can still accommodate special events for groups of up to 40.